Did you know that there is a phantom who lives here in the cellars of the Off Broadway Theatre? It’s true, and you will learn all about him in OBT’s upcoming musical parody, The Phantom of the OBT, written by Eric Jensen. The Phantom falls in love with a young performer, Christine, who unfortunately is waiting for her true love, Raul. The Phantom steals the young girl away, and it is up to Raul and his friends to rescue the fair maiden. With plenty of beautiful music and hilarious action, Phantom is phamily-phriendly phun! That’s right, we’re telling the story of a rich young prince who becomes cursed with ugliness and beastly manners. No, we’re not doing the Donald Trump story—it’s Cutie and the Beast. A cute young girl gets lost in the woods and takes refuge in the enchanted castle of a terrible beast. All of the trans-morphed servants labor to get her to fall in love with their master, to break the spell that holds them prisoner. But they must hurry, before the last sego-lily petal falls! This hilarious new musical parody, written by Eric Jensen, will surely be a “beastly” hit with kids and families. Ahoy thar, me hearties! Pirates of the Carabeener makes its triumphant return to the OBT. 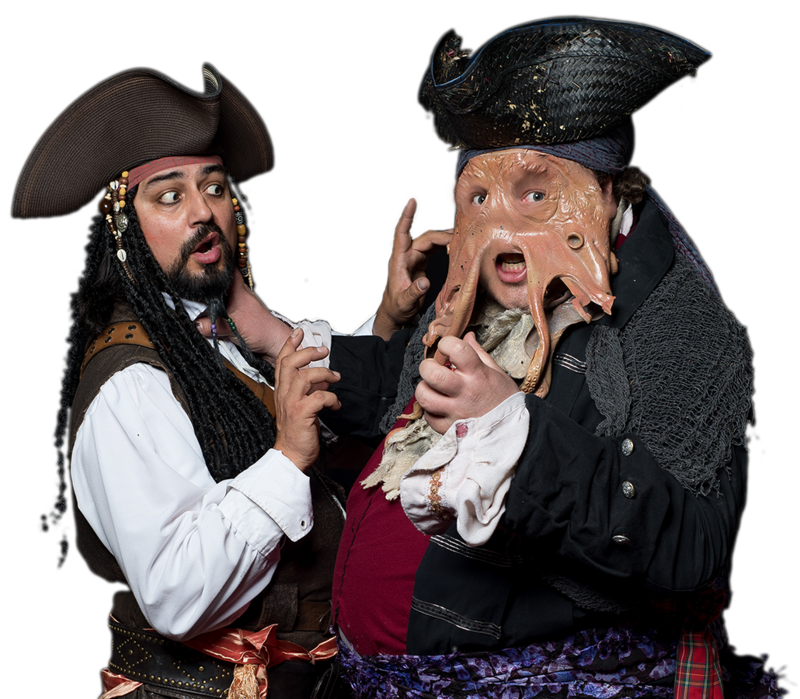 In this musical parody of the film classic, Captain Jack Swallow hires a rag-tag band of pirates to retake his old ship (The Carabeener), but his former crew have been cursed as SpongeBob SquarePants-type characters and are ready to defend their beloved ship and its gold. Bring your little buccaneers and come dressed as your favorite pirate for this swashbuckling romp! You might even see a mermaid or two. Mark the calendar for this one—X marks the spot! How long has it been since you’ve been able to see the style of classic comedy of the 1930s? 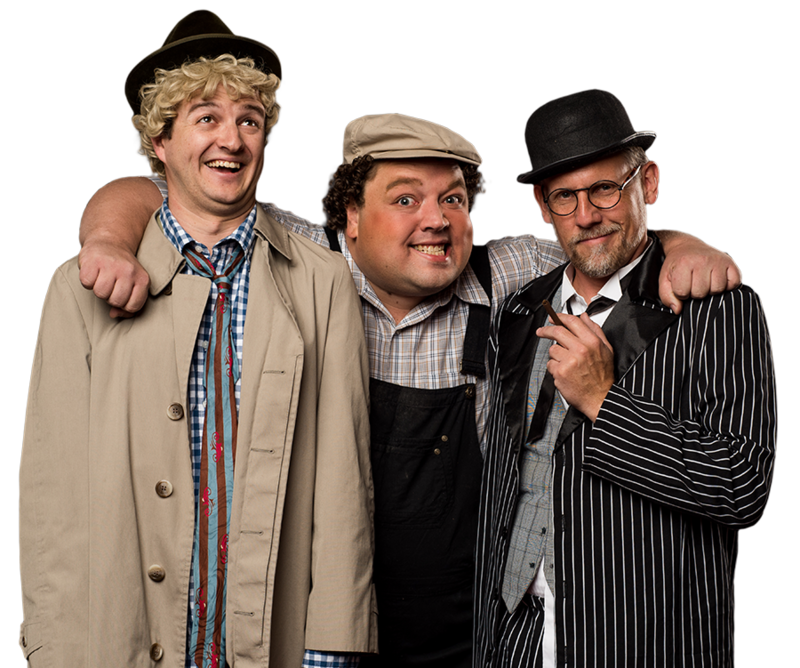 Well, wait no longer, because the Off Broadway Theatre will resurrect these brilliant madcap clowns in Cody Carlson’s original A Night at the Imperial. A quick-witted con-man is freeloading off an older woman—owner of the failing Imperial Hotel. He and his zany cohorts hire a famous chef to work at the hotel to bolster business. Will they succeed? Make a reservation to find out, and come see this hilarious comedy. A perfect family night out! Travel back in time and see Utah pioneers through the eyes of the OBT. 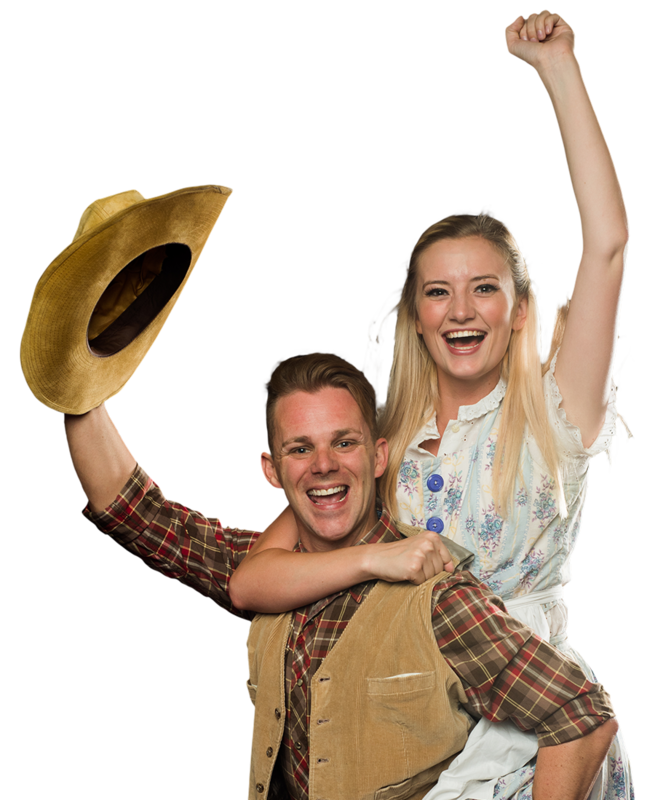 A great original musical parody based on the classic Oklahoma! Love, heartache, and the quest to win a girl’s hand in marriage: it’s quirky and super funny—full of hilarious puns fit for people of all ages! Utahoma! guarantees laughs throughout the show and fun for a date night or family outing. Does your family like awesome music? Hilarious comedy? Bloodthirsty monsters? Uh, forget that last one… At any rate, they’ll love OBT’s Halloween parody, Forever Dead. 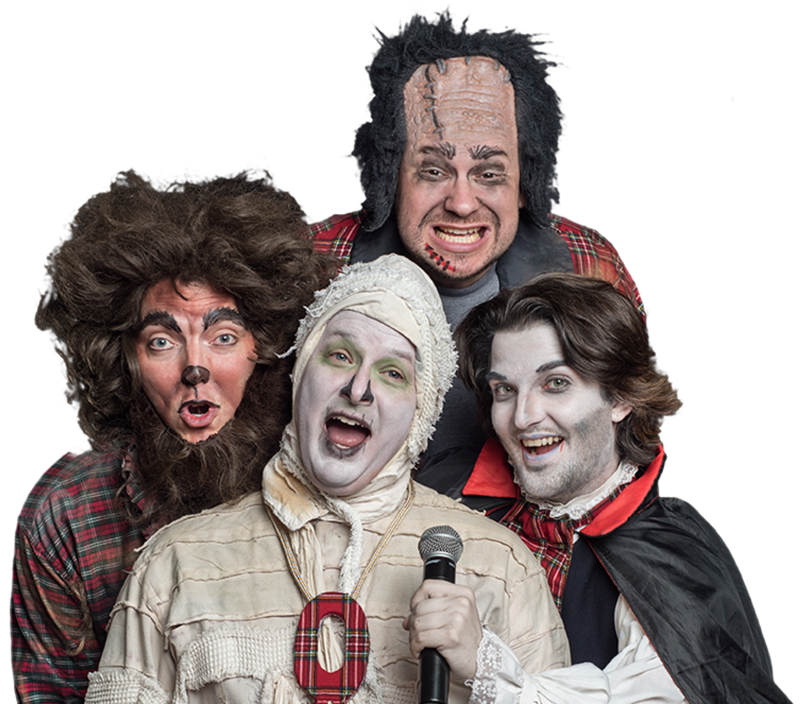 In this comical musical revue, Dracula, Wolfman, Frankenstein, and Mummy, find themselves stuck here to haunt the OBT for eternity. Luckily, they find their way out of this limbo state by singing tight-harmony songs from the ’60s, ’70s, and today. This is one of our most requested shows, so make your reservation soon. You’ll be glad you dead! At the Off Broadway Theatre, we are constantly criticized for not having enough intergalactic Christmas shows with a Mormon-based theme. Unfortunately, Santa meets the Mormon Martian Missionaries just didn’t sell. But this year we silence all of our critics with our holiday show, Star Ward Christmas. 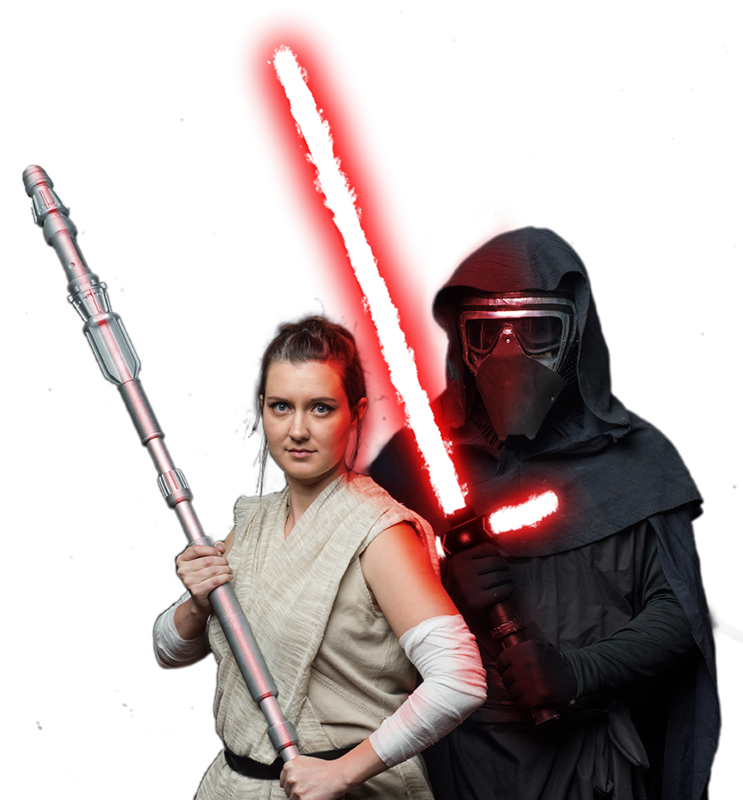 This amazing musical parody takes characters from last year’s very successful Star Ward and mixes them with current sci-fi characters, so that they can save Christmas from the dork side. Happy Holidays and may the Farce be with you.